Croatian firefighters have tackled several forest fires along the Adriatic, some of which have forced people to evacuate their homes. 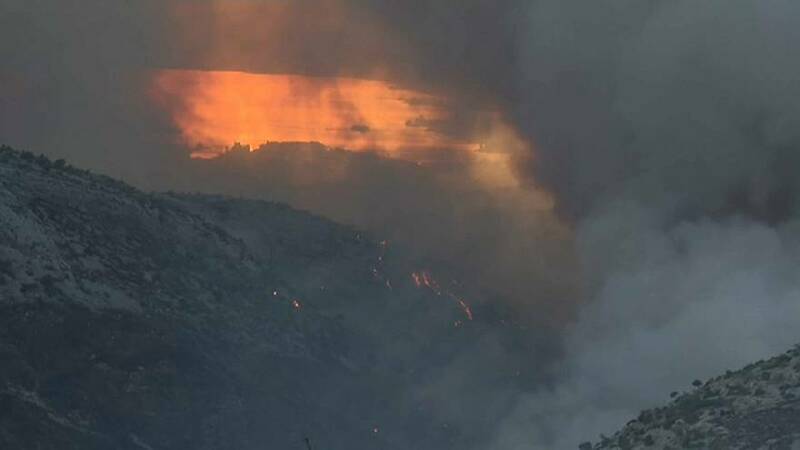 Fires have burned in Srinjine, near the northern city of Pula, as far south as around Sibenik, on the islands of Pag and Vir, and northeast of the biggest coastal city, Split. Croatia’s coast, always packed with tourists in the summer, often suffers forest fires during the holiday season and these are the fiercest so far this year. Strong northerly winds have made putting the fires out more difficult, and authorities have issued a warning about using naked flames in the open air. Two firefighting planes managed to stop the blaze reaching houses in the village of Brodarica near Sibenik, and a local road near the village of Sestanovac, inland from Split, was closed due to the smoke.